Unhappy with the holes in your patient schedule? Looking to generate more new patients in 2016? You may have given up on your online presence. You hoped for a constant stream of new patients from your practice website. Instead, it’s not working. But why? Changes in the online marketing world are accelerating, making it difficult for the casual observer to keep up. Whether it’s optimizing your website for Google, or running marketing campaigns to get website traffic, the landscape has evolved. The question is whether you plan to embrace these changes, or remain idle while the competition passes you by. We are pleased to announce our free upcoming webinar on January 14th at 8pm EST that explains three key pitfalls many chiropractors experience when it comes to their practice websites. Even the best website design has only a three- to five-year shelf life. The set-it-and-forget-it strategy from the past is no longer a solution for getting new patients online. To compete effectively, your website must be modern and follow current SEO guidelines. Mobile-friendly design and an engaging user experience are critical to getting new patients in 2016. When it comes to getting traffic to your practice website, there are a number of sources to draw from. Search engines, social media, email marketing, directory listings… the list goes on. To build qualified traffic, it takes an integrated strategy. All your online marketing efforts must work in harmony to attract conversion-ready visitors to your website. Your practice website plays a pivotal role in converting both strangers and referral patients. Your website isn’t for you; it’s for your patients and prospective patients. To convert visitors from your website, you must first establish trust. 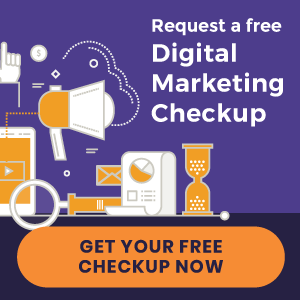 This means not just showcasing the services you offer, but the reasons why they should choose you – rather than the competing chiropractor down the street. 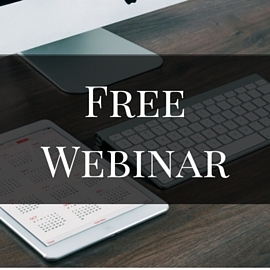 Attend our free webinar for chiropractors, and learn how to grow your online presence in 2016. Save your seat today by clicking this link.